Dan Miller had three consecutive night terrors before performing in his first improv student showcase in 2010. Look at him now. Dan performs with the company ensemble Madeline and the independent team Sistine Robot. He is also a cast member and assistant director of the WIT productions Citizens’ Watch. He also performs in WIT’s improvised slasher movie Die! Die! Die!. Along with Jonathan Murphy and Lura Barber, Dan is a member of Beverly Crusher—the winning team of the tenth annual Fighting Improv Smackdown Tournament. Previously, Dan performed with the WIT ensemble King Bee and Harold teams Spirit Bear, Scorched Earth, and Telenovela. He’s also a former member of Vicinity (which performed the close quarters format). He was a cast member of the 2012 production of POTUS Among Us. He created Improv Actually, WIT’s romantic comedy based on the movie Love Actually. On stage, Dan can frequently be found playing strange children, drunk old ladies, ghosts, and serial killers. Off stage, he can be found laughing about something to himself or suggesting we go get Mexican. Ask him about his basset hound. Dan Miller had never stepped foot on a stage before his first Washington Improv Theater student showcase. But the scariest thing he's ever done has become his passion. Dan loves teaching improv because he loves helping students make discoveries and breakthroughs in their craft. Even better, these revelations can help students apply the lessons of improv to their off-stage lives. He’s told countless strangers that everyone should take at least one improv class to better their lives. Dan has taught every level of WIT’s curriculum. Dan performs with the company ensemble Madeline and the independent team Sistine Robot. He is also a cast member and assistant director of the WIT productions Citizens’ Watch. He also performs in WIT’s improvised slasher movie Die! Die! Die!. He’s a member of Beverly Crusher, the winning team of the tenth annual Fighting Improv Smackdown Tournament. Prior to that, he performed with the WIT Harold teams Spirit Bear, Scorched Earth, and Telenovela. He’s a founding member of indie team Sistine Robot. He created and directed the first iteration of WIT’s improvised romantic comedy Improv Actually and assistant directed Citizens’ Watch. He has coached teams Cake Bagel and Neighbors. 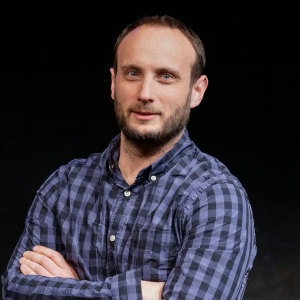 Dan brings 10 years of nonprofit communications experience to the Washington Improv Theater. Prior to joining WIT, Dan worked on education equity issues for The Education Trust. He spearheaded the I AM NOT A LOAN online campaign to combat the nation’s student debt crisis. He has also done communications work for the Gay & Lesbian Victory Fund and the National Association of Counties. Dan’s writing has appeared in The Washington Post, Express, The Washington Blade, and other publications. In addition to serving on the WIT staff, Dan is current member of WIT ensemble Madeline and a founding member of the independent troupe Sistine Robot. Dan also performed in the WIT productions Citizens’ Watch, Die! Die! Die! and POTUS Among Us. He is a member of WIT’s faculty as well as a WIT@Work organizational training facilitator. Dan Miller truly believes that improv can help make you a better boss, a better team member, and a better person. Dan loves teaching improv because he loves helping students make discoveries and breakthroughs in their craft. Even better, these revelations can help students apply the lessons of improv to their off-stage lives. He has led workshops for Lidl, Capital One, Goodwill International, the Council of Chief State School Officers, the University of Maryland MBA program, and other organizations. Dan is WIT’s external relations director. He is also a member of the WIT ensemble Madeline and a founding member of the independent troupe Sistine Robot. He is a member of the WIT faculty.